TACLOBAN CITY, Leyte, Jan 18 (PIA) -– The Department of Agriculture in Eastern Visayas started the year by convening its division chiefs and operations heads to formulate their respective operational work and financial plan. The overall directions of the DA’s four banner programs namely, rice, corn, high value crops, and livestock, and the Food Staples Sufficiency Program (FSSP) were presented at the start of the Operational Work and Financial Planning Workshop. 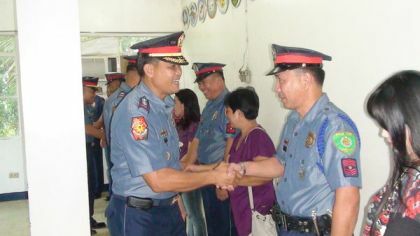 This was followed by the workshop proper and the presentation of outputs, Francis Rosaroso, DA-8 information officer said. “It is good that we’re starting off the New Year with this kind of activity [OWFP]. For me, this is very necessary because oftentimes, with the various interventions that we want to put in place, we tend to miss some important activities and before we know it, the year is almost over and it’s already too late to carry it out,” says Dr. Arsenio A. Fortin, DA-8’s regional technical director for Operations and Extension. Rufino Ayaso III, operations division chief, underscored the need to decentralize the Agency operations and to come up with a plan that is consistent with what the agency wants to happen in the end. Thus, a master plan for the region that is attuned with the DA’s overall direction is a must, Ayaso said. Ayaso highlighted the FSSP which covers the country’s staple commodities such as rice, white corn, root crops, and plantain. Under the said program, the DA is mandated to help attain self sufficiency for these crops by way of raising farmers’ competitiveness, and productivity, enhancing economic incentives and enabling mechanisms, managing food staples consumption, and strengthening program management. “This activity is actually our initial step to strengthen our program management,” he added. In the meantime, WFP operationalization was defined by Raul T. Repulda, planning division chief , as a process of specifying and unifying all the strategies and activities vis-à-vis the budget allocation to implement the work and financial plan.